It was the RSPCA Million Paws Walk on Sunday. The Million Paws Walk is an annual event held around Australia. It was an absolutely gorgeous day, with lots of very cute doggies running around in excitement. I soaked up enough doggy cuteness to last until I can get back to Perth to see Zoe! 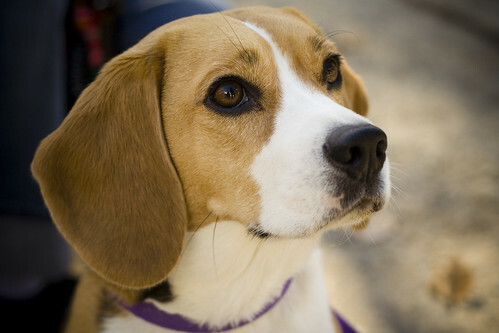 The above photo is of Camry the beagle. He is a member of Dog Rock! – the dog orchestra that my acapella group accompanied. Isn’t he cute? What makes him even cuter in real life is that he’s one of the best behaved dogs I’ve ever seen.